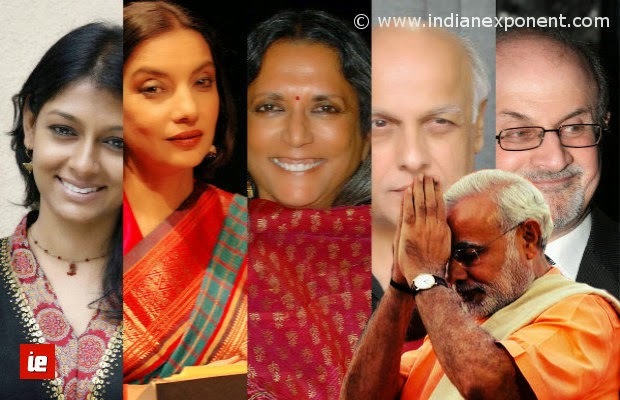 A motley group of artists, writers, activists and intellectuals including Salman Rushdie, Deepa Mehta, Nandita Das, Mahesh Bhatt and Shabana Azmi (just to name a few) are releasing open letters and making collective statements advising people not to vote for divisiveness and instead vote to save secularism and human rights. Although it’s very noble of them to raise the flag of human rights on national and international forums and carry the burden of India’s pluralism on their highly sensitive shoulders, if you try to gauge their intentions from a common man’s (or woman’s) perspective you are left a bit confused and clueless. You are made to wonder, do these people have any idea of what development is and what human rights mean to a common person toiling on the road? Do they really comprehend what ideals like secularism and pluralism actually entail? From a common citizen’s perspective, it doesn’t seem so. Irshad Ali is a roadside tailor in Indirapuram, Ghaziabad. Come winter or summer, rain or sunshine, from morning till evening he toils on his sewing machine under a youngish Banyan tree while automobiles whiz past him from both the sides. When I asked him whom he supports his immediate answer was, “Narendra Modi”. This is the reality on the roads that the so-called intellectuals fail to know. They fail to realise that development does matter to an average Indian and it is a big deal, not a subject to be talked about in an economic forum or a conclave. 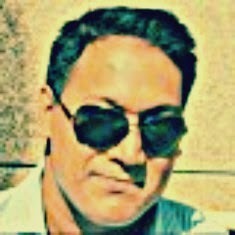 Development and human rights are intertwined and it is immature to talk about them as two mutually exclusive subjects. Development, if you look at it from Maslow’s hierarchy of needs pyramid, comes somewhere just above the bottom section. Without development, the higher notions of human qualities such as freedom of speech and expression and human rights hold no meaning. In poverty, in backwardness, human rights are violated every hour. In a backward country that is passive towards development, quality of life takes backseat and if you disregard quality of life, how can you talk about human rights? Recently a policeman died defusing a bomb planted by the Maoists. He was not wearing protective gear so don’t you think that his human rights were violated? He was not provided medical attention and a helicopter could be arranged only after three hours, didn’t this violate his human rights? He died. No intellectual was outraged that the policeman didn’t have access to appropriate protective gear and he didn’t get proper medical attention. Why? Just because the subject is not secular enough? Every day labourers work in different Indian cities and towns without any protection constructing high-rise buildings going up to 16-20 floors, jeopardising their lives in the process. Nobody bothers if they are wearing helmets or if the platforms that are hoisted over the scaffolding are secure enough. During welding they don’t even cover their eyes. In the developed parts of the world like Europe and America, these things are taken for granted. These are just two instances, but this is the sort of wretchedness that lack of development brings. The quality of life and consequently, the human rights track record, is much better in developed countries because their basic needs are already taken care of and now they can move onto the next level. For more than six decades Modi hasn’t been here so we can safely say that India has been a secular and pluralistic country. People are still starving. People are still crawling on hospital floors like insects and small animals. An average Indian is malnourished and demotivated. We’re still a Third World country and even smaller countries are way ahead of us. 100s of communal riots have happened under the so-called secular governments. Emergency was imposed on the country by a secular Prime Minister. The biggest pogrom was unleashed on a minority in 1984 by a secular government. Did you ever find these luminaries issuing letters crying danger to secularism and pluralism? Why did Salman Rushdie move from England to America? Because he thought that his human rights were protected better in America compared to England. If without Modi India was doing a stellar job at maintaining human rights, why didn’t he come to India? Didn’t a secular PM get The Satanic Verse banned? There was no Modi when his book was banned and which in turn motivated Ayatollah Khamenei of Iran to issue a fatwa on him – was India secular enough and was India’s pluralism thriving back them, with Modi nowhere in the picture? Sooner or later these intellectuals will learn that their worldview of development and human rights is totally different from people who actually live under circumstances that don’t even afford them with two meals leave aside human rights. They will learn that the pluralism they just talk about is actually practiced in the villages, towns and cities and it is an ingrained subject and not something esoteric and novel.